Steel mills have some of the harshest conditions of any industry, so they need feedback products that can handle tough environments. 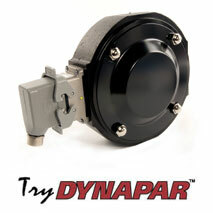 NorthStar heavy-duty encoders as well as Dynapar absolute encoders can be found operating in length positioning and speed tensioning applications within the casting and finishing process modes of steel manufacture, specifically controlling and monitoring swing bucket position. The swing bucket pours molten steel into casting forms before returning to home position to refill again, whereby machine operators need to be able to locate the bucket at all times to reduce incidence of scrap, waste or injury. NorthStar offers a wide range of heavy duty encoders equipped with magneto-resistive technology that are not affected by the harsh conditions of steel production, e.g. water and airborne contaminants to mechanical shock and vibration. Their advanced encapsulated electronics ensure that they are unaffected by natural contaminants and extreme temperatures. Some NorthStar models are even equipped with dual sensors as a built in sensor backup to prevent costly mill downtime scenarios. 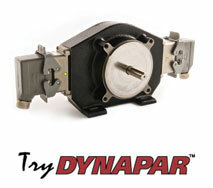 The NEW RIM Tach®8500 NexGen Encoder was designed with the customer in mind. Now with the largest air gap (70 thousandths) in the industry the NexGen RIM Tach provides more generous axial play allowing for easier installation. 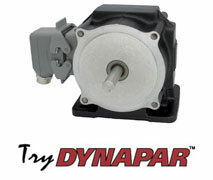 To learn more about this revolutionary encoder click the image above. The RT6 is a heavy duty magnetic encoder that built with cast iron construction and extra heavy duty bearings to provide long life in tough environments. The RT6 offers a foot mount or 56 C-face mount ideal for "flower pot" or belt drive applications.